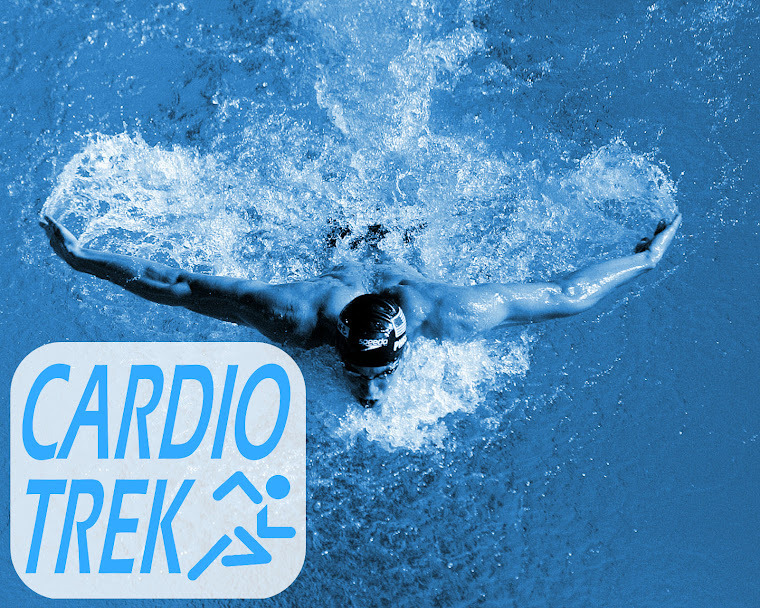 Cardio Trek - Toronto Personal Trainer: 10 Weightlifting Tips for Archers - Part Two! Today I updated an older post titled 10 Weightlifting Tips for Archers and decided it might be time to make a sequel to that post. So here it is! 10 MORE Weightlifting Tips for Archers! What you might not know is that the shoe industry makes specific styles of shoes for weightlifters that allow them to build muscle faster when doing specific exercises. Indeed there is a bit of an argument within the weightlifting community as to which is better: Flats or Raised Heels. Raised Heels are better for front squats, back squats, and Olympic style lifts and squats. Flats are better for deadlifts, barbell rolls, wide stance squats, and basically everything else. I should note also that for archery purposes, flats are best. If you are curious about why flats are best I recommend reading Steve Ruis' blog post on the topic of Leaning In, during which he rightly bashes crosstrainers (which I despise) and extolls the benefits of wearing flats. The principle of learning proper form applies in weightlifting just like it does in archery. Whatever exercise you are doing please learn the proper way to safely do that exercise because: A. It builds muscle faster and B. It prevents injuries. For example lets say you are doing a Back Dumbbell Row (an exercise which targets your rhomoids, deltoids and triceps) you need to be doing it properly. 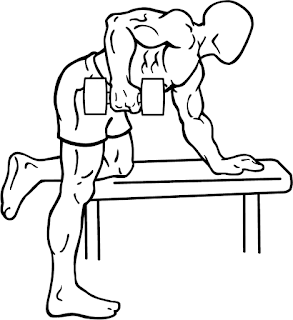 To do a Back Dumbbell Row start by kneeling down on an exercise ball (or sofa or chair or bench) with the opposing arm holding onto a dumbbell. 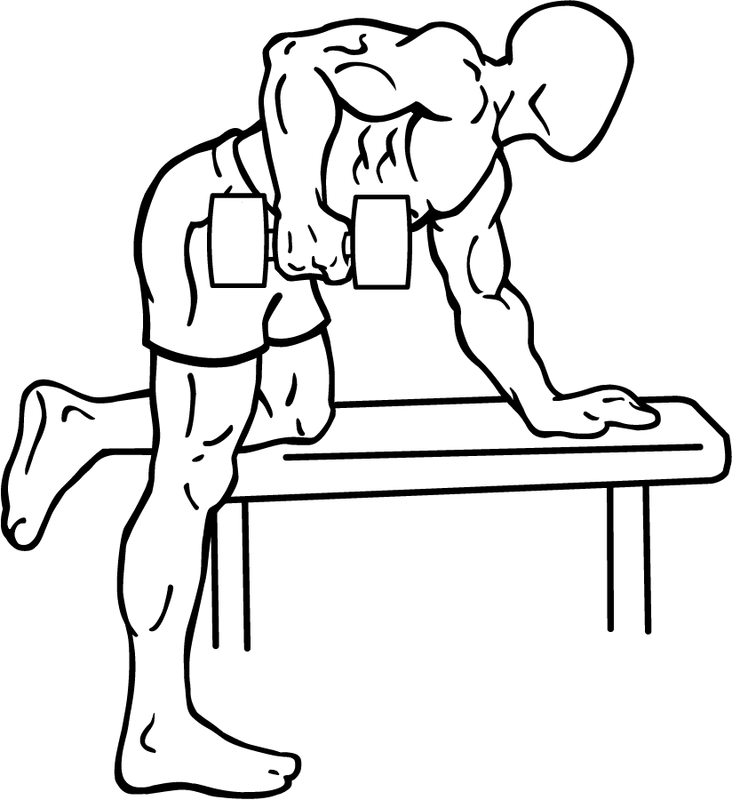 Slowly bring the dumbbell upwards to your chest keeping your elbow tight as possible into your body. Slowly bring the weight back down to the starting position. A good starting weight to use for this exercise is 15 lbs. 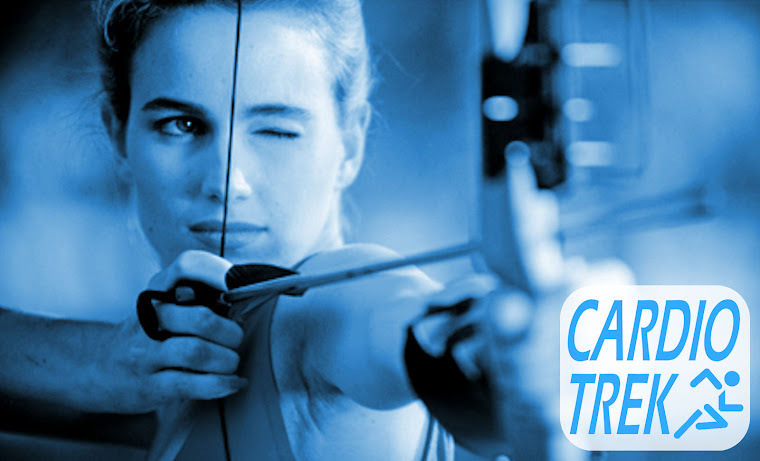 Just like you do with archery, invest in equipment you can use and keep using because of their versatility. Dumbbells for example are very versatile and can be used for hundreds of different exercises. 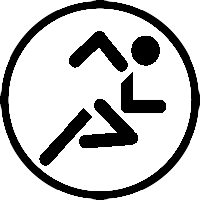 Exercise balls in contrast are comparatively limited in terms of the number of things they can be used for and arguably are completely unnecessary when a chair, stool, pillow or other device could be substituted. Spend your money wisely on versatile equipment. Also avoid buying cheap junk that breaks easily. Exercise balls can get punctured, a dumbbell in contrast is very difficult to break. 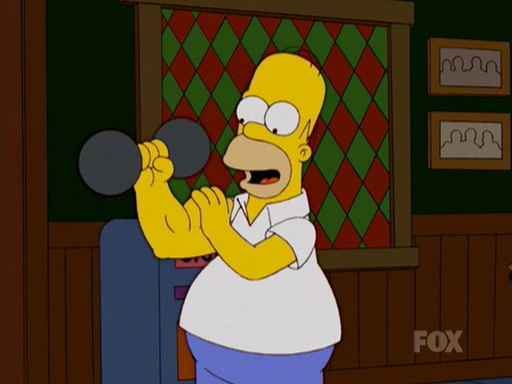 Don't just exercise the one body part like Homer Simpson did in that one episode. Work both sides of your body evenly. For archery purposes you might think you can get away with only exercising the one side, but trust me, you actually need both. If a weightlifting gadget or supplement sounds like it is too good to be true, then it is. Don't waste your time or money on gadgets or supplements making ridiculous claims. The companies selling such products make their livings by selling to gullible suckers. Don't be a sucker. Whey protein and Creatine supplements will help you to build muscle faster, but only if you are using them properly in the correct proportions for the amount of exercise you are actually getting. If you are only exercising for tiny amounts and then gorging yourself on whey protein, you are not going to get all the benefits you were dreaming of. Eat healthy, use minimal amounts of supplements, don't overdo it. You know the saying "Common sense is very uncommon." ? Well if it seems like a bad idea, then you probably should NOT do it. A lot of weightlifting accidents happen when people try to lift things that are way beyond their ability to lift and properly control. The same thing goes in archery, as you should already be aware. Don't try to pull a bow you know you can't handle and hold steady properly. Honestly, having someone watch what you are doing is incredibly important for safety - especially with the heavy weights. If you drop it, cannot handle it, you could potentially hurt yourself or even kill yourself by accident. 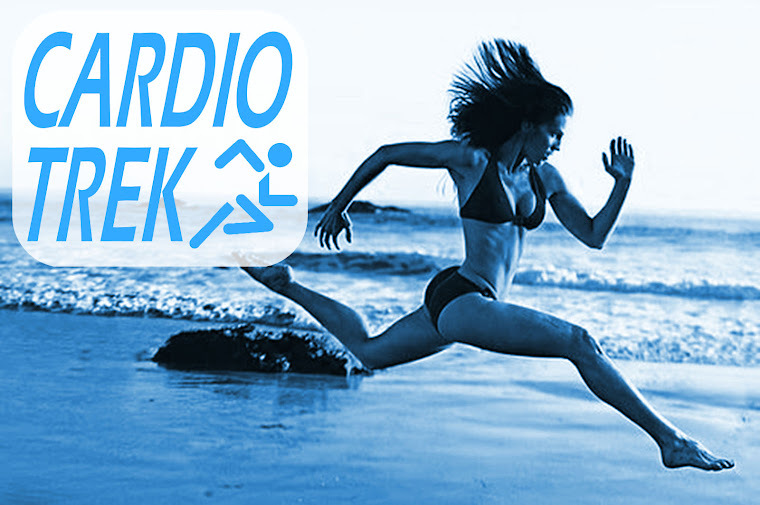 Many different kinds of exercises utilize bodyweight instead of using dumbbells, barbells, etc. Yoga for example is very effective for using your bodyweight to give you the physical challenge of lifting your own body. 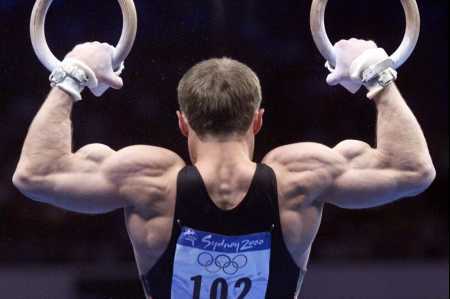 Gymnastic exercises are also good for building the necessary strength.